Getting old is hard. It’s hard not to feel that when the stuff you love is becoming obsolescent you yourself are rushing to obsolescence. Suddenly we find our past left behind in charity shops. The stuff you bought once with much effort is suddenly there for a quid. 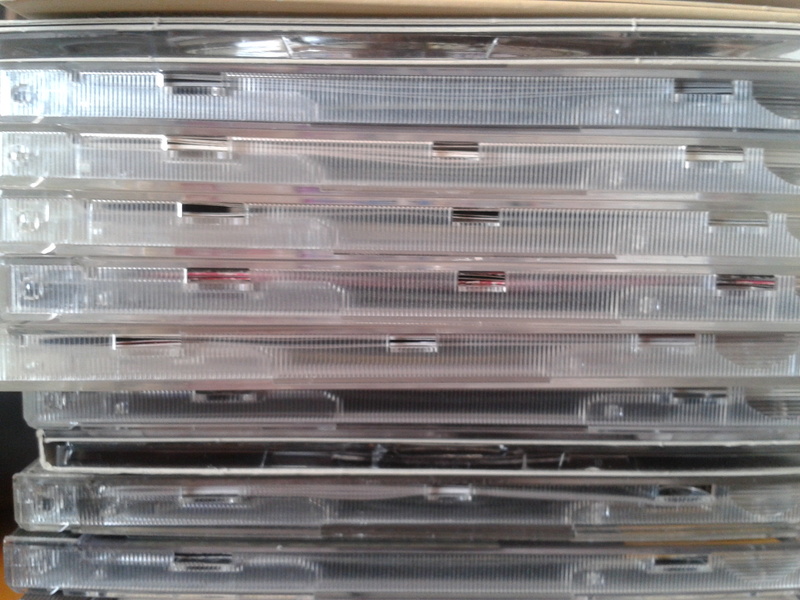 Recently someone left a sizeable collection of recent-ish, mint CDs in one of my (several) local charity shop. I had bought all of those CDs once in the past (not the same CDs, but the same, in a work of art in the age of mechanical reproduction kind of way), but due to several migrations they got lost along the way. As a record collector and frequent scavenger of second-hand and charity shops, I often wonder about previous owners, and the pieces of biographies they leave behind when they get rid of a collection. This time around I took the opportunity of recovering some of these objects, that, even as compact discs, still hold on to the aura of valuable, meaningful objects, embedded with collective and individual memories. The newest of those CDs is from a decade ago, and boy, does that still feel like yesterday to me. Anyway, I have made a ‘mixtape’ (many times in my life I used this word non-metaphorically) with some songs from some of the albums I found in the charity shop. There is nothing rare or ‘underground’ here (particularly for the UK context, pretty much the opposite) but where I come from some of these CDs were precious possessions to be treasured. I have called this “The Good Old Days (Charity Shop Rock Sr Priego Set)”, and you can listen to it if you click here.